Once again, I am on my time management and productivity kick. I have taught my prior teams about the fundamentals of time management and improving personal productivity and have seen the benefits of doing this personally and professionally…it can be tremendous and life altering. Just as a side note, I am a fan of Dr. Covey and Brian Tracey on these topics and have modeled my planning style after their work. 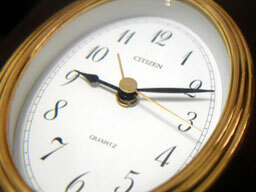 I struggle with the term “time management” because time cannot be managed. It is beyond our control. It can only be human ego that we even use the term “time management”. A better term maybe “personal management”, “personal discipline” or even “activity/task management”. Whatever you want to call it, it should be done and it will not be easy. Changing behaviors and work habits are nothing but work. When you get down to your daily reality it is hard to plan for the “unknown” factor. Unknown tasks and activities screw “the plan” ten ways to Sunday. Ahh, such is life but if you do not plan, you will drift with no direction. If you drift with no direction, we will become lost and never arrive at your destination. Their are times and places where drifting is good, but at work, it is the reality of the mediocre. If you have any good websites, books or thoughts on improvements in my planning process, please put it in a comment or send me an e-mail. Thank you! I decided I would share some of the tips and methods I use for planning. I have three groups of activities Monday, Daily and Friday. So lets get started on a typical Monday morning. I start each week by reviewing and adapting my basic plan that is contained in my Outlook calendar. I boot up the ol’ laptop and open Outlook, I do not look at the Inbox as that is too scary so early in the morning, and review the week’s appointments. I look at my notes for each appointment to see if I need to complete any tasks or prepare any materials for the upcoming meetings. If I do, I create calendar appointments to complete the work. I went to this method from creating Outlook Tasks as I would “snooze” tasks and forget them, and besides calendar items are much more “in your face” about what you really should be doing at any given moment. The downside to this process comes from tasks that are not completed. You must create new calendar items or Outlook Tasks so these items are not forgotten. I make sure that I book time on my calendar each week for the big activities. These are items that are important to me and will have a long term benefit. An few examples of these are attending webinars and training sessions on newly released technologies, reading materials or attending self development courses and staying up on future IT trend thinking. Basically, these are items that will help me and the company over the long term that everyone puts off because a lack of time. Once the appointments and supporting activities are reviewed, I turn my attention to my personal task list. I move the start and due dates of tasks around based on item priority. I rank all tasks using the A,B,C 1,2,3 method. “C” tasks are Quadrant 3: I like to call these, urgent for others, but not me.. If you are unfamiliar with the “A,B,C” method or the “Four Quadrants of Time Management”, pick up a copy of 7 Habits of Highly Effective People. Once all my tasks are ranked, I add calendar items to set blocks of time aside to work on “B” level tasks. I have found that, in the past, I would blow off “B” level tasks because I thought I just did not have the time. This is so not the case and by scheduling time to work on “B” level tasks, I know I will make the needed progress on these important tasks. The “A” level tasks are relatively few (mainly the unknown factor rearing its head) and worked on as a priority throughout each day when they come up. After these reviews are completed, I look at the department task list. I change the priority of items and assign them to staff as appropriate. Items that I take ownership for are added to my calendar or placed in my task list. I will also review the status of all IT project related tasks and adjust staff assignments or project tasks as needed. I then go through any voicemail that came in over the weekend, or that I did not review from the prior week. The vast majority of voicemail messages, and calls, I receive are from sales people; I politely ignore them all. If I do not know the phone number when receiving a call, it goes to voicemail. This helps put me in control of my time and how I spend it, not the sales person calling me. Lastly, I go back to the Outlook Inbox and our corporate spam filter to deal the bountiful amounts of e-mail. I review e-mail from the oldest to newest and create tasks for anything that requires a follow-up action that is longer than a few minutes. If the action is less then a few minutes, I try to take care of it immediately to avoid the task creation and management process. I really try to limit the amount of time I spend on e-mail. On tactic I use is to review e-mail once every other hour; this step alone has improved my productivity as I am not interrupted every 5 minutes. We are a heavy e-mail company and I do not think I can increase the time between reviews much farther apart and be responsible in my duties. That is my Monday morning planning session. Next, I will post my “daily” routine.